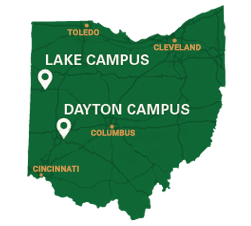 In 2017, Wright State University celebrated 50 years of being an innovative leader in affordable and accessible higher education. Please enjoy our unique timeline as well as stories and photographs of the milestone events and inspirational people who have helped make Wright State such a special place. After four or more years of intense study and specialized training, 96 medical students in the Boonshoft School of Medicine class of 2018 received their M.D. degrees during the school’s graduation ceremony on May 10. The Wright State accounting program was the catalyst for a great career. I've built upon that foundation to become the 2017–18 president of the California Society of Enrolled Agents. Thank you, Wright State! As the first person in my family to attend and graduate from college, I took my schooling seriously. Wright State gave me the opportunity to prove to myself that I could accomplish my goals. I truly enjoyed my professors and all the doors that having my degree opened! Numerous Wright State faculty helped guide my professional and personal development. In particular, John Fortman when I was an undergraduate and Mike Leffak when I was a graduate student. I’ll always be grateful to them and to the faculty in general for helping me find direction and purpose in life. Wright State allowed me to figure out what I wanted to do with my life and how to do it well. I graduated with a B.S. and master's from Wright State. I now have the opportunity to work with Wright State students to help them be successful in math.